The club of Puylaurens in the South of France organized their International week-end on April 12 and 13 with players from five nations taking part. There was only one team event with 6 teams competing and FTC Issy (France) beat SC Eugies (Belgium) in the final thanks to a decisive goal of Axel Donval a few seconds before the final whistle. The Open tournament on saturday had a field of 19 players. Axel Donval beat Jean-Marie Amberny in sudden dearh to win the title. Emmanuel Gorgette and Olivier Père were the semi-finalists. In the other categories, the winners were David Vantassel (U19), Emilie Despretz (U15), Ferran Coll (veterans) Margot Diradourian (Ladies) and Lucas Père (U12). On sunday, only two categories were in the agenda. 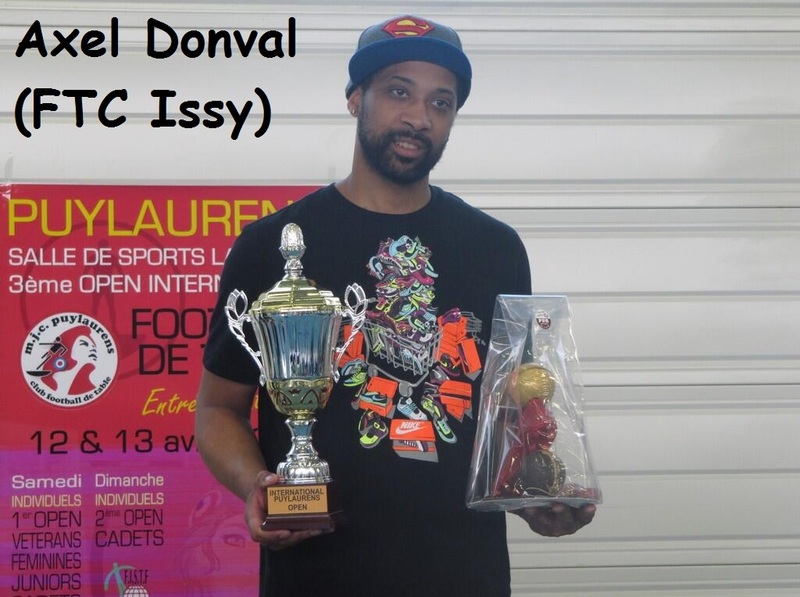 Axel Donval beat Axel Modeste in sudden death to win his third trophy of the week-end while Ferran Coll and Jean-Marie Amberny lost in the semis. Margot Diradourian beat Emilie Despretz in the final of the U15 tournament. This entry was posted in FISTF News and tagged France, Results. Bookmark the permalink.